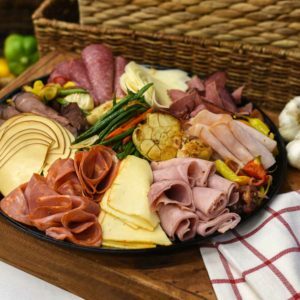 Veggie platter: featuring the finest and freshest vegetables available, these vegetables are sourced in the most local, organic and sustainable manner possible. Contents include spring carrots, celery, cherry tomatoes, red bell peppers, broccoli, cauliflower, zucchini and squash. 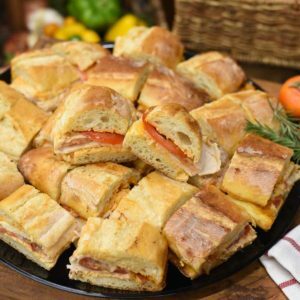 Served with a traditional ranch dressing or humus as a choice. 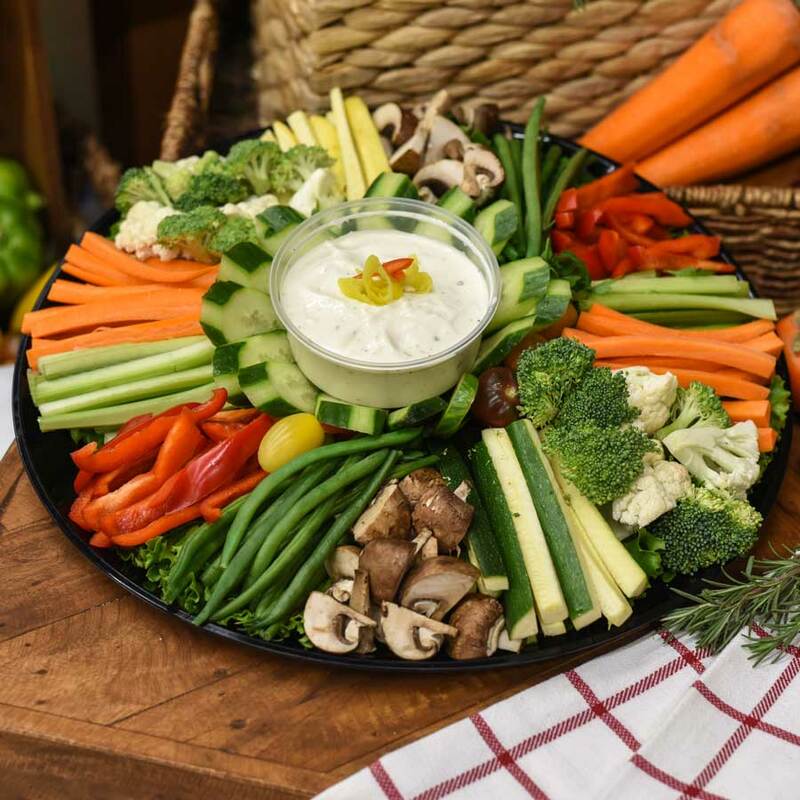 Our Fresh Veggie platters are handmade to order with fresh ingredients and care.